CinemaCon is the official convention of The National Association of Theatre Owners (NATO) and the largest and most important gathering for the worldwide motion picture theatre industry. CinemaCon is truly a global event attracting attendees from more than 80 countries. This year it was held at Caesars Palace in Las Vegas. 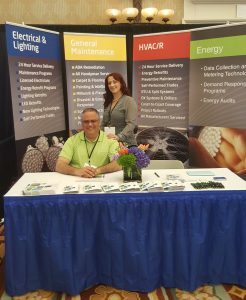 Lane Valente had their booth at this trade show to connect with existing theatre clients and to connect with potential future clients.